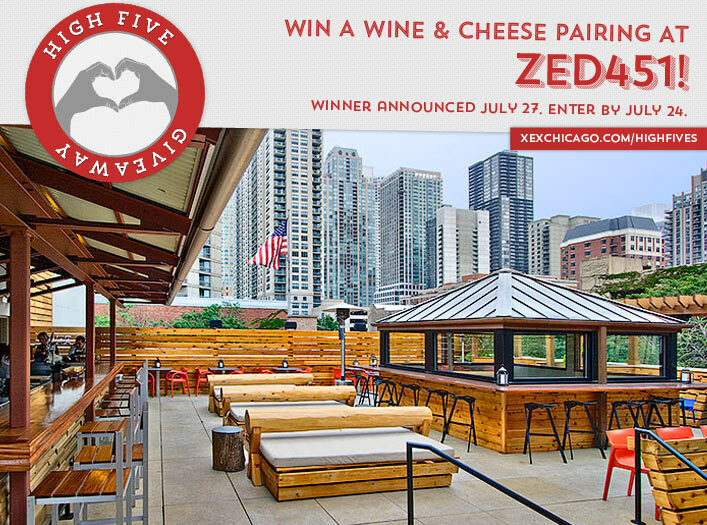 Win a Wine & Cheese Pairing at ZED451! Congratulations to Rachel Picot on winning our 130th High Five Giveaway! Thanks to all who entered. For our next High Five Giveaway we have a free wine and cheese pairing at ZED451. ZED451 is an unconventional steakhouse. Let go of everything you used to think about dining and enter a warm and stylish world or artful design and relaxing and indulging abundance. For one price, chefs serve their specially prepared dishes tableside while a bounty of seasonal soups, composed salads, fresh vegetables prepared in unique ways, cheeses and breads await you at the Harvest Tables. Here, you are catered to by an engaging staff in an environment that evokes a warm landscape of natural elements with a highly stylized edge. Stay as long as you wish and consume what you desire. ZED451 is located at 739 N Clark Street, Chicago, IL. Visit their website at www.zed451.com or call them at 312.266.6691 for more information. What is one type of extensions offered at XEX? Hint: Click here for the answer! Now, just add a comment to this post with the right answer to be eligible to win! The winner will be announced on Monday, July 27. Enter by midnight on Friday, July 24!